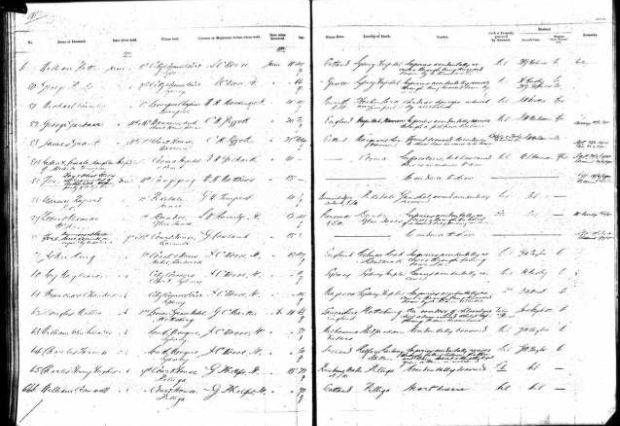 Ancestry.com has a database online that is titled - NEW SOUTH WALES, AUSTRALIA, REGISTERS OF CORONERS; INQUESTS, 1821-1936 which includes 88 entries for people who are listed with Greece as their place of birth. These same records may be available free of charge through the STATE RECORDS AUTHORITY OF NSW. This database contains registers of coroners’ inquests for New South Wales, Australia, for the years 1821–1937. Coroners were responsible for inquiring into any unnatural or sudden deaths in their jurisdiction. They also investigated deaths when a body was unidentified, a cause of death was uncertain, or the deceased was in the care of the state. Coroners could investigate fires that caused destruction of property, as well. Magistrates could take depositions about circumstances of death in more remote areas where no coroner was available. Earlier registers will show district, before whom the inquest was held, when and where held, date received, name of deceased, finding and the date of the death certificate. The later registers also record age of deceased, locality of birth, locality of death, and cash or property owned at the time of death.